Skyworks has announced that its advanced wireless engines are being used by Philips in their CityTouch end-to-end street lighting management platforms. Skyworks’ connectivity solutions provide superior efficiency, extended range and complete network coverage to facilitate seamless communication between Philips’ smart street lamps and cellular base stations. These innovative devices allow city operators to reduce power consumption and support public safety through adaptive scheduling and remote services. Installations of CityTouch have commenced worldwide, fostering more livable and sustainable environments. Local governments are increasingly utilizing Internet of Things (IoT) and artificial intelligence (AI) innovations to overcome fiscal, environmental, security and energy challenges. 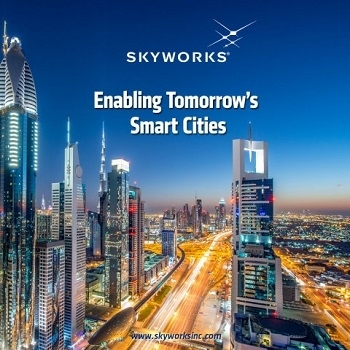 Skyworks’ robust portfolio of IoT architectures are empowering numerous applications for intelligent city operations spanning smart metering, surveillance systems and responsive traffic signals. According to ABI Research, IoT technology revenues across 12 key smart city verticals are expected to grow from $25 billion in 2017 to $62 billion by 2026. This growth is being driven by a number of factors including the modernization of city infrastructure systems, increasing demand for intelligent, energy-saving street lighting and a growing awareness among consumers and governments worldwide. Select solutions powering Philips’ CityTouch connected lighting platform include a family of MMMB amplifiers, step down regulators and LTE switches. 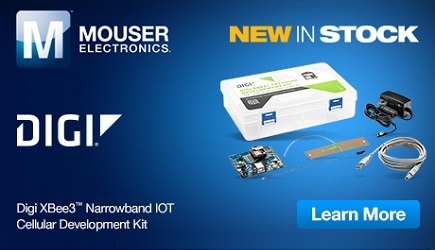 For more information about Skyworks’ leading connectivity solutions for IoT, click here.